Designed by Paddy Merrigan, Woodenbridge Golf Club have undoubtedly one of the most scenic golf courses you will have the pleasure of playing in Ireland. Measuring 6,341 yd’s of the back tees, with a par-71 and a standard scratch of 70. 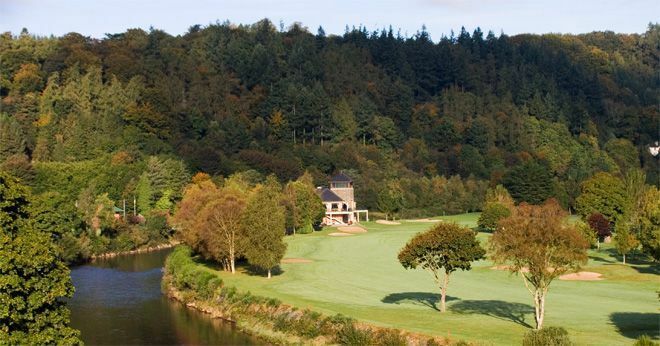 Woodenbridge is a parkland golf course with level terrain and traversed by meandering rivers which create wonderful golf holes sitting in the Vale of Avoca - overlooked by Sylvan Hills it is truly a magnificent setting. The clubhouse overlooks the course and has a full bar and excellent restaurant, facilities. 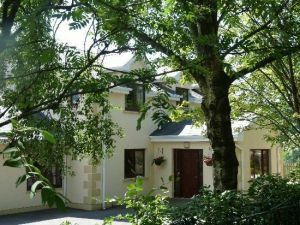 The visitor is extended the warmest of welcomes and you will keep going back to Woodenbridge, for the golf and if your game is not at its best the magnificent scenery will more than compensate. 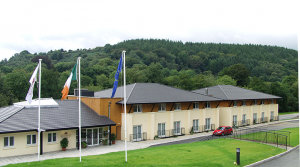 Woodenbridge has recently built a magnificent new clubhouse catering for the golfers every need. It was voted the No. 98-ranked golf course in Ireland, by "Golf Digest Ireland" in 2008, and No. 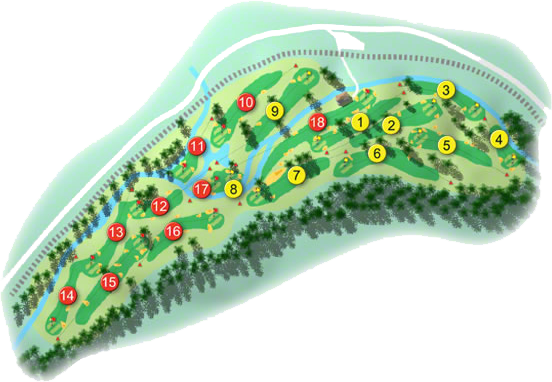 30-Parkland/Inland Course in Ireland by "Backspin" in 2008, the panel comprised of a selection of 52 Professional and amateur golfers throughout Ireland. Welcome to Wicklow Golf Breaks! Backed by over twenty years of experience in the design of custom made affordable golf packages, our website contains a range of excellent golf packages designed to suit all tastes and handicaps. 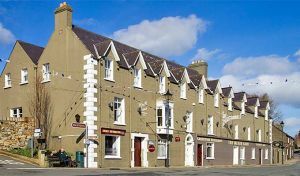 Choose from the following courses; Arklow, Blainroe, Coollattin, The European, Macreddin, Wicklow and Woodenbridge Golf Club. Two nights B&B and 3-rounds of golf From €169. Woodenbridge won the the Brennan Cup in 1996, 2000 and 2001. They were County Champions in the J. B. Carr Diamond Trophy in 1999 and 2005. The Ladies won the Midland District Senior Cup in 1997. Lady Captain Phyllis O'Rourke, Captain Ian Bothwell and Honorary Secretary Brian Hurley, qualified for the National Finals of the Mercedes-Benz Irish Independent Executive Golf Classic at The K Club on August 12th 2002. Lady Captain Phyllis O'Rourke (19) and her Captains Prize Winner Anne Mernagh (14) qualified for the National Finals of the Volkswagen-Irish Independent Lady Captains' Golf Classic at Druid's Glen in October 2002, when they returned 43 points at The Royal Dublin Golf Club in September. There is some confusion as to the origins of this club. The "Irish Field", on the 25th of July 1908, records "The club was started in 1897 and owes a great deal to the late Colonel Bayly, who did all in his power to further its interests, giving the land free"
There are claims that in 1884, Colonel Bayly invited Sir Stanley Cochrane to field a team of gentlemen to play golf at Woodenbridge. The best account of the formation of Woodenbridge is given in "The Irish Golfer" on the 3rd October 1900, and it records "This club was formed about three years ago. The original members numbered only about six or seven. Owing to the kindness of Colonel E. R. Bayly, Ballyarthur, Co. Wicklow, the President of the club, who permitted grounds of his, adjoining the Woodenbridge Railway Station, to be turned into a golf links, the difficulties attached to the formation of the club were speedily got over. It has improved every year, so that now there are about sixty members. The links is a grassland course, are beautifully situated, bounded on one side by the woods of Ballyarthur, and the other side by the river Avoca, the greens are carefully kept and the sod on them is considered to be second to none on any inland links in the country"
Woodenbridge has since extended to eighteen-holes and it is the most scenic inland course I have seen in the country. The latest statistical survey of golfers? height, conducted on behalf of a major sportswear company, reveals that the average golfer is seldom as tall as his stories".